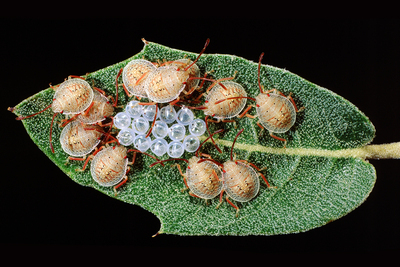 The author discovered stink bug babies on the underside of a leaf. 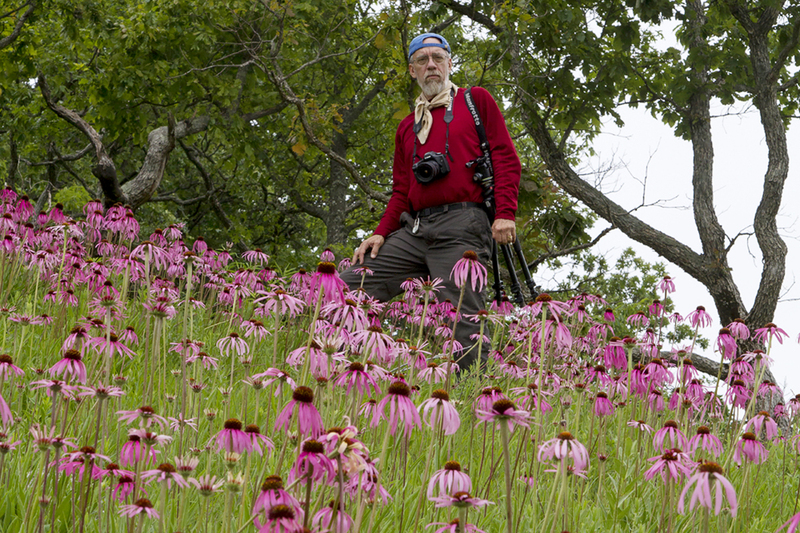 Michael R. Jeffords is a photographer, naturalist and educator. While hiking in the Sonoran Desert of Arizona, looking for unusual things to photograph, I randomly turned over a leaf. Underneath was a tiny, hidden world of newly hatched stink bugs clustered around their empty eggshells. I noted that they were quite cute and wondered if the concept of “cuteness” had any scientific validity. A literature search yielded the detail that some adult stink bugs, after laying a clutch of eggs, actively guard their young against tiny parasitic wasps. Hmmm … parental care by a lowly insect! While I did not see the mother stink bug, she could have been nearby, as I jostled the leaf when turning it over. 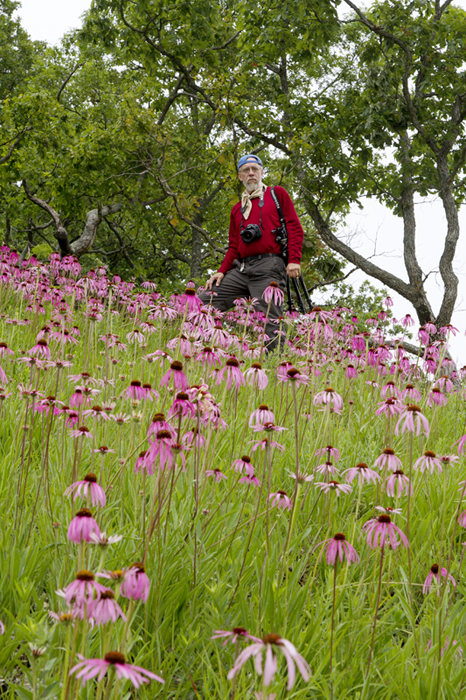 A new book by Illinois Natural History Survey educators, wildlife photographers and researchers Michael R. Jeffords and Susan L. Post documents some of their adventures in the field. Concerning cuteness, we must turn to Konrad Lorenz, who first introduced the concept as a model in ethology. He stated that cuteness is a subjective term that describes traits commonly associated with youth. He called it Kindshenschema, or baby schema. Youthful features were thought to appear cute and activate in others the motivation to care for it. Well, it might not have had an effect on the mother stink bug, but I certainly found the diminutive stink bug nymphs charming. I watched them for a few minutes, as they seemed to be feeding on the remaining contents of their eggshells. 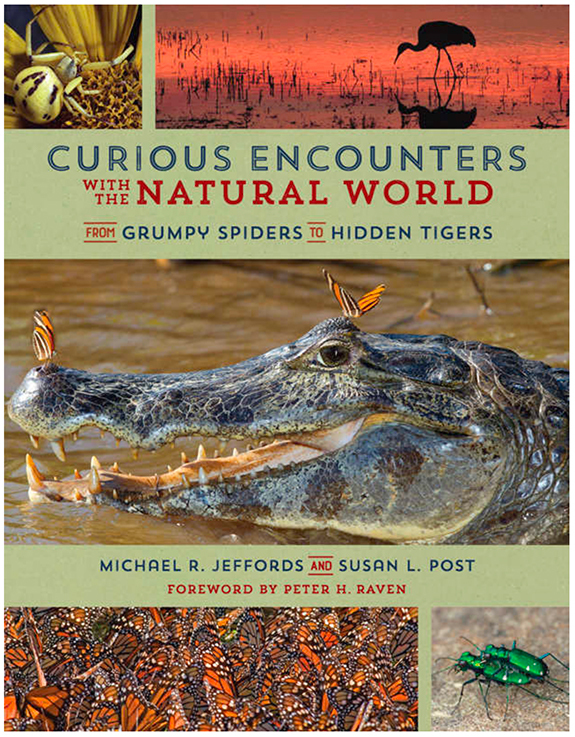 This is an excerpt from “Curious encounters with the natural world: From grumpy spiders to hidden tigers,” a new book by Illinois Natural History Survey educators, wildlife photographers and researchers Michael R. Jeffords and Susan L. Post. The book is now available from the University of Illinois Press. The authors will present the book and give a talk in the Auditorium of the National Center for Supercomputing Applications, 1205 W. Clark St., Urbana, on Sept. 19 from 4 to 6 p.m. The INHS is a division of the Prairie Research Institute at the U. of I.